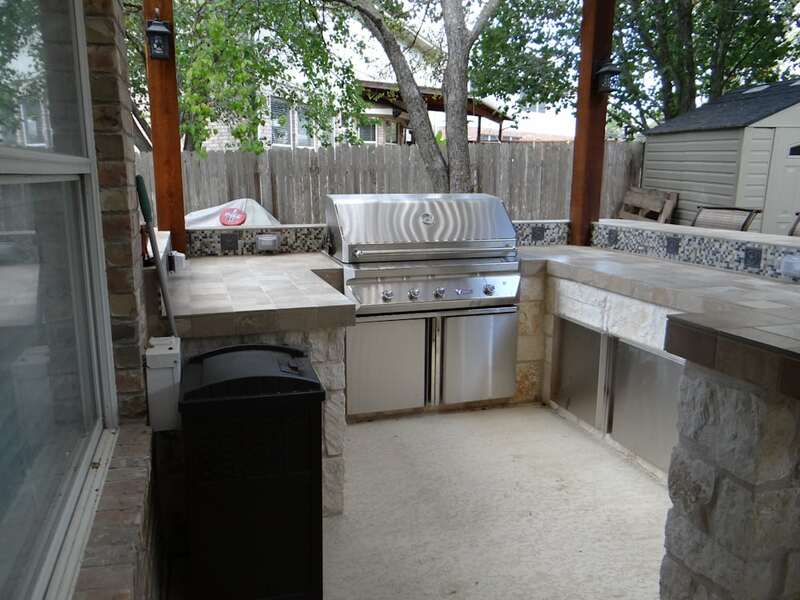 The first thing you have to decide on is the kind of space that the kitchen will occupy. 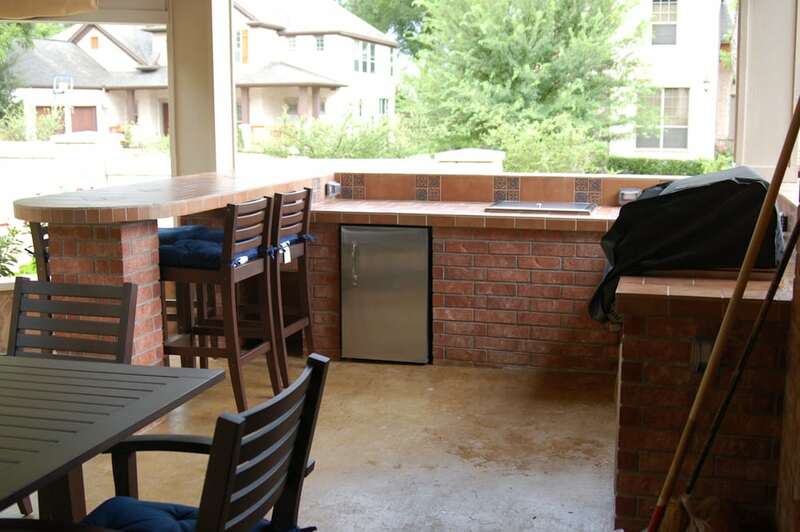 This will, of course, depend on the space you have available, your needs, and how much you are willing to invest. 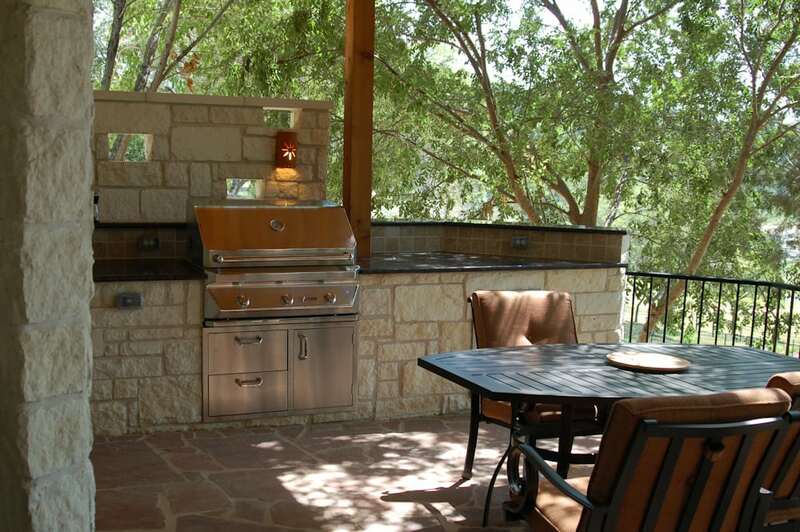 Outdoor kitchens must be conveniently located in the home. 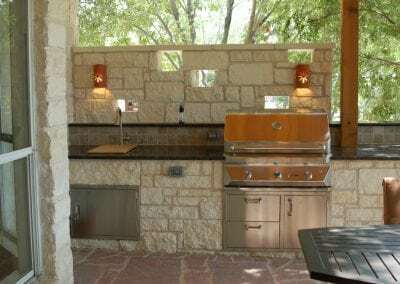 Choose a place that is convenient for you to connect with the water and electrical supply of your home. 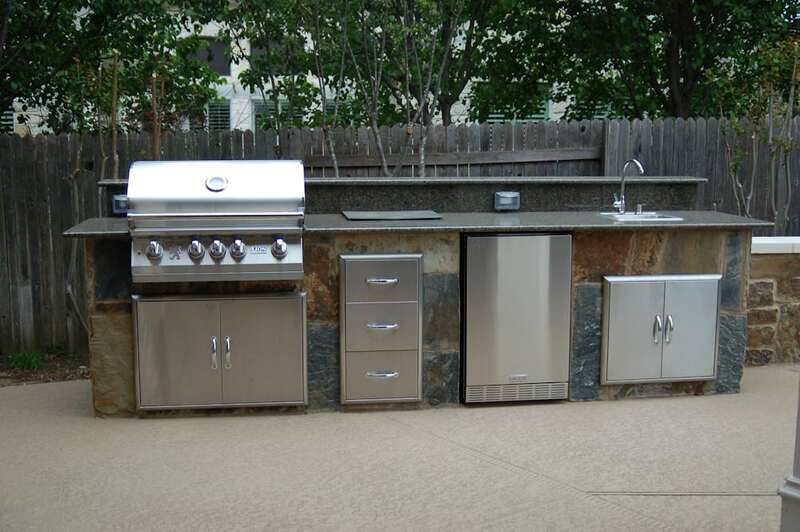 You can have the kitchen as big as the one inside your home or way smaller. 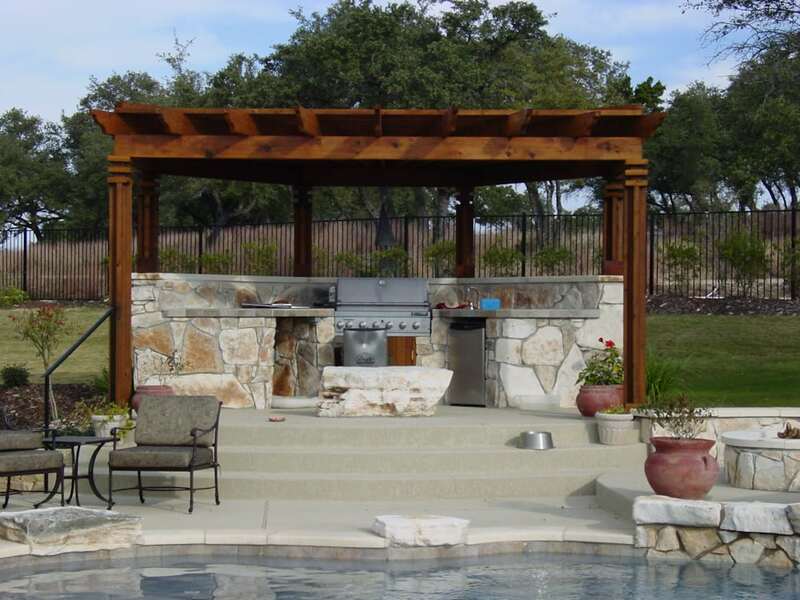 The next step is to choose the style and design that you feel is most suitable for your home. 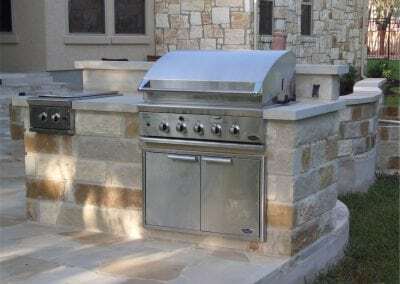 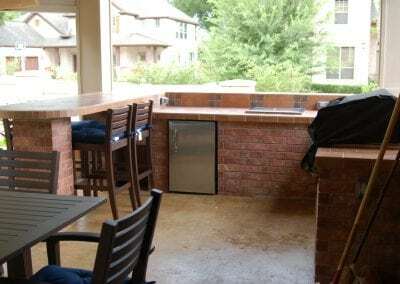 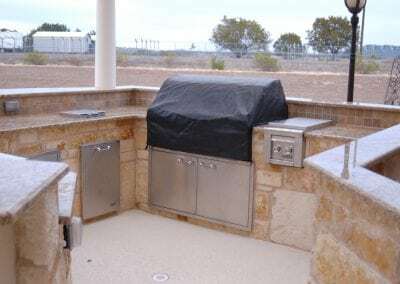 Most outdoor kitchens have a grill, countertop and sink, make sure your kitchen has an area where you can prepare your food no matter how small the outdoor space is. 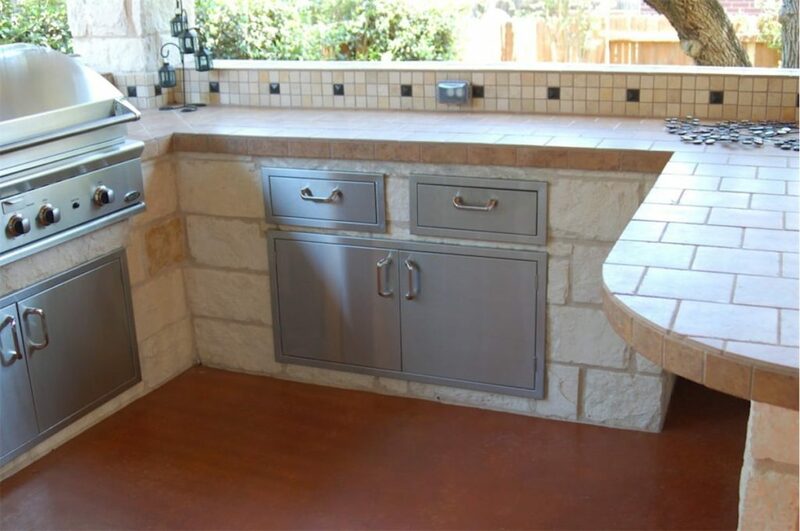 In fact, a great designer will start by establishing a usable counter space because a kitchen must have a preparation area. 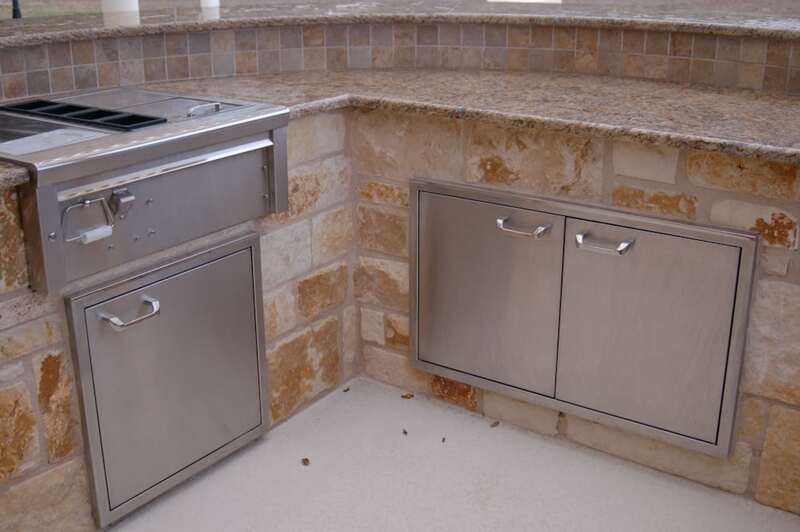 Keep in mind that you also need adequate space to serve and clean up the dishes. 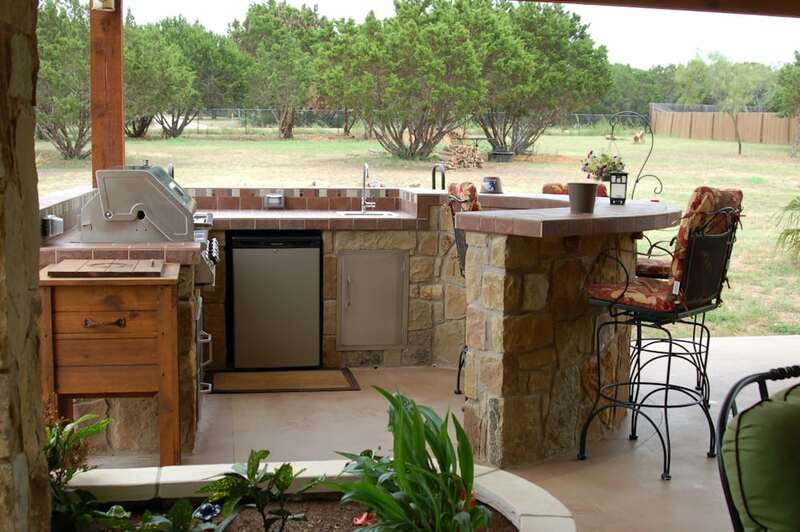 You can choose a traditional L-shaped kitchen or a curved one if you are looking for a little more workspace. 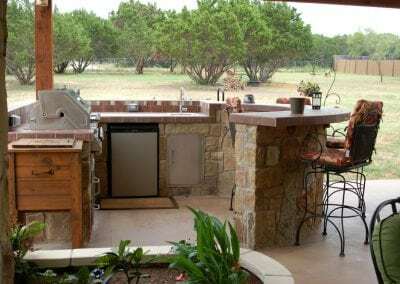 Other designs include a small dining area in the kitchen. 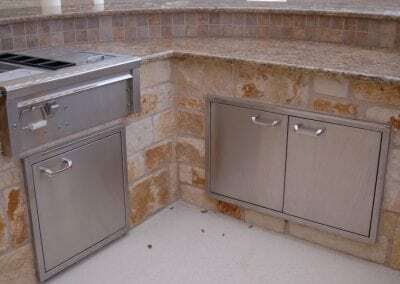 Another optional feature would be to construct a bar top just close enough to the main kitchen space to allow your guests to sit and talk while still keeping enough space to finish preparing the meal without any distractions. 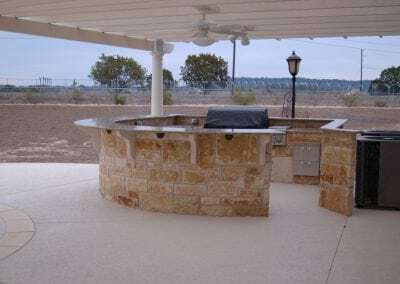 You can also choose an organic or concrete base. 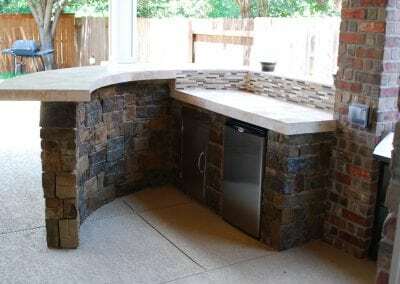 Organic bases would be comprised of natural stone to match or accent your home. 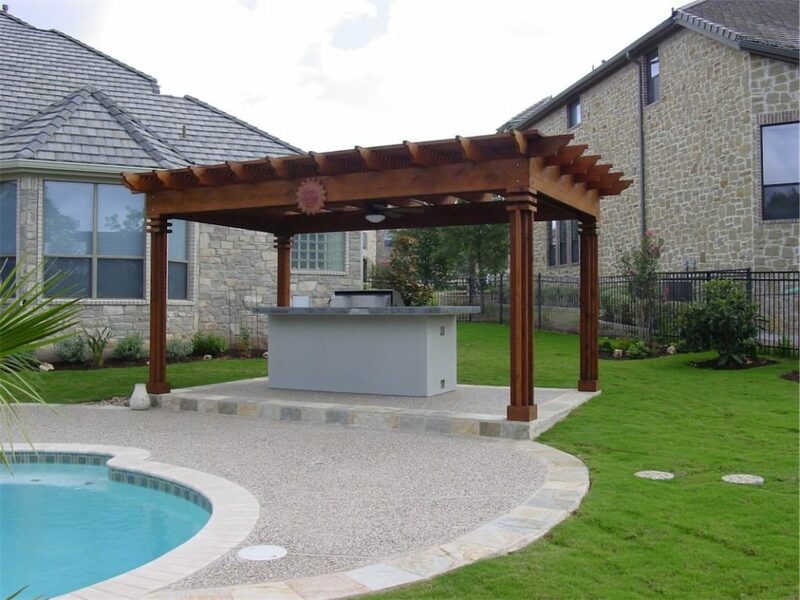 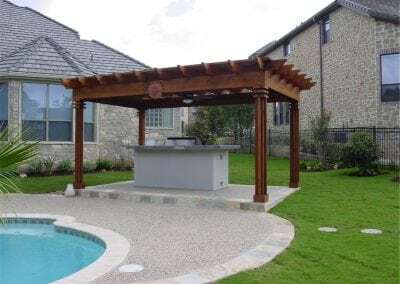 Have our professional designers help you decide on the most suitable design, construction material and components to make your outdoor kitchen as much a part of your home as your indoor kitchen. 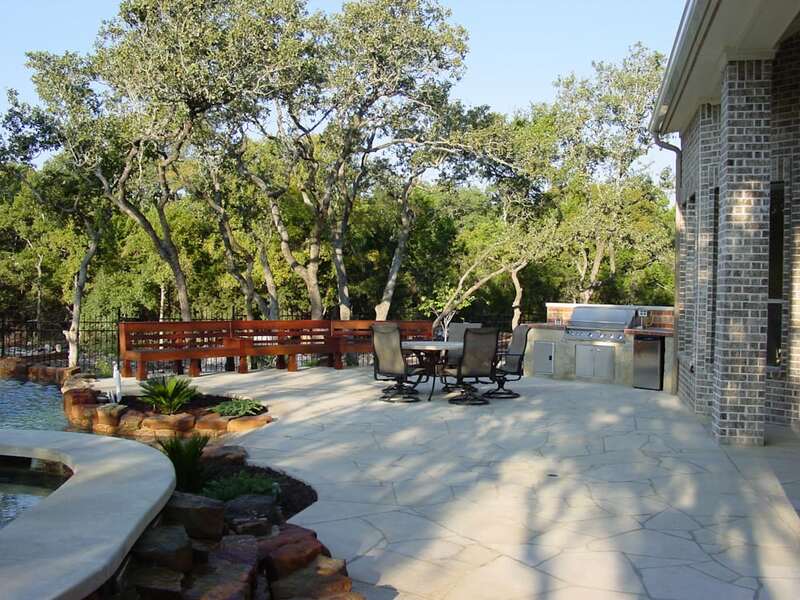 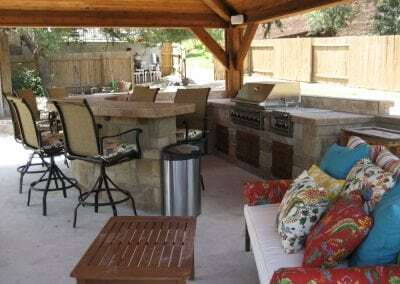 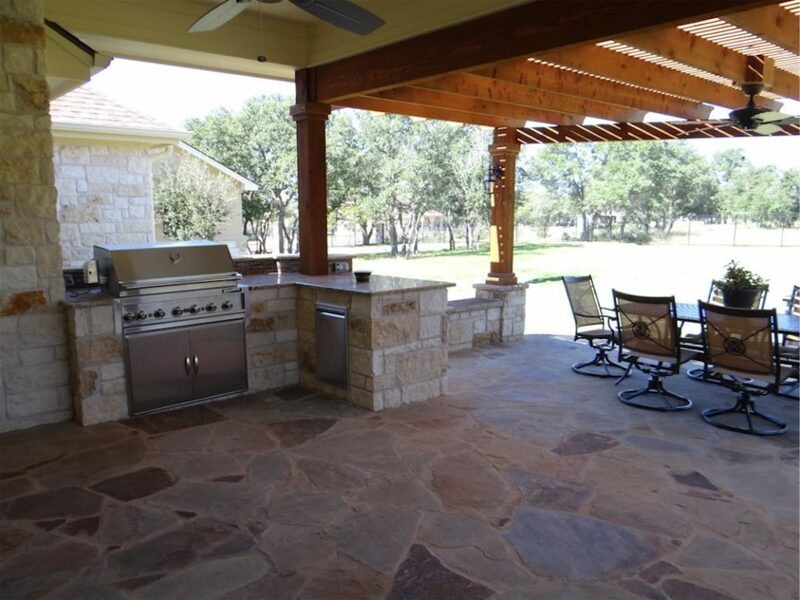 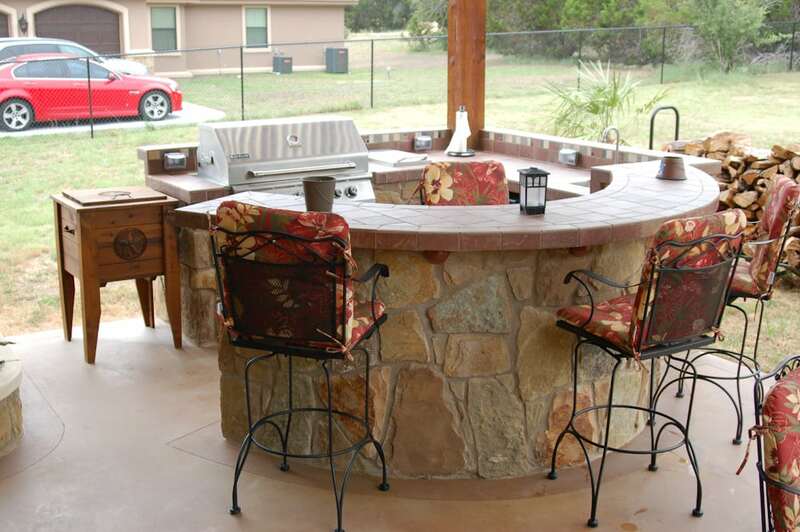 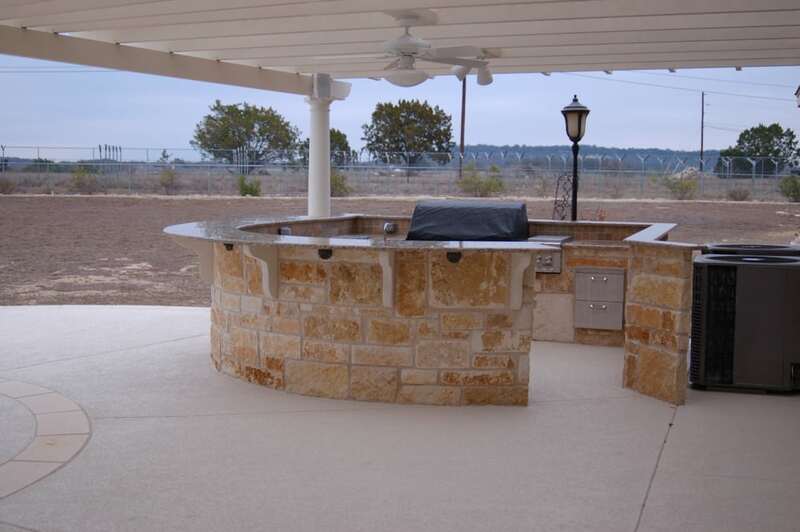 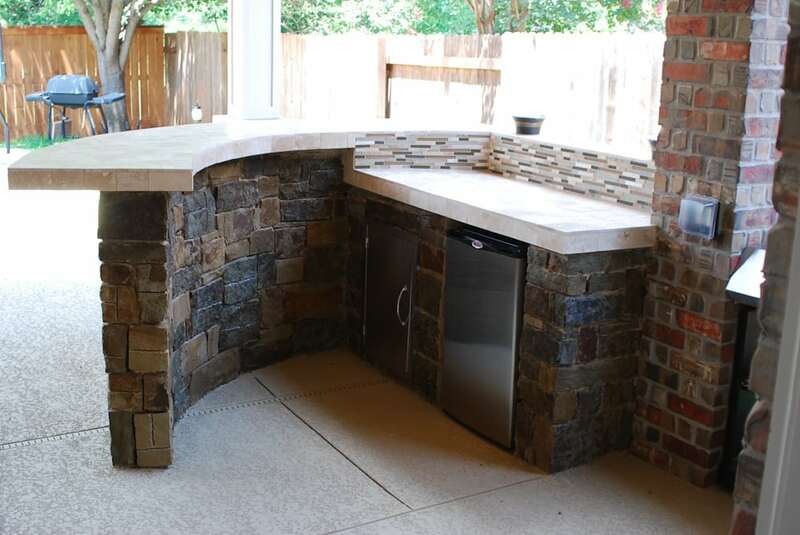 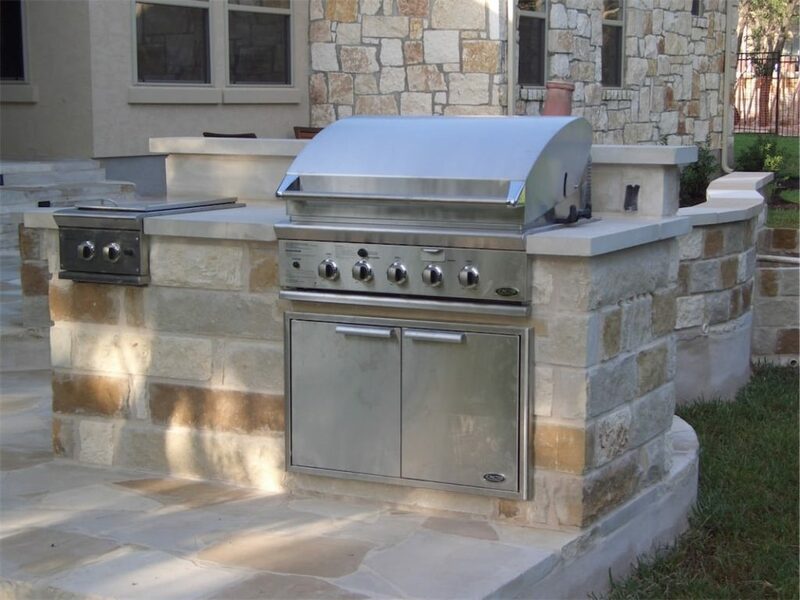 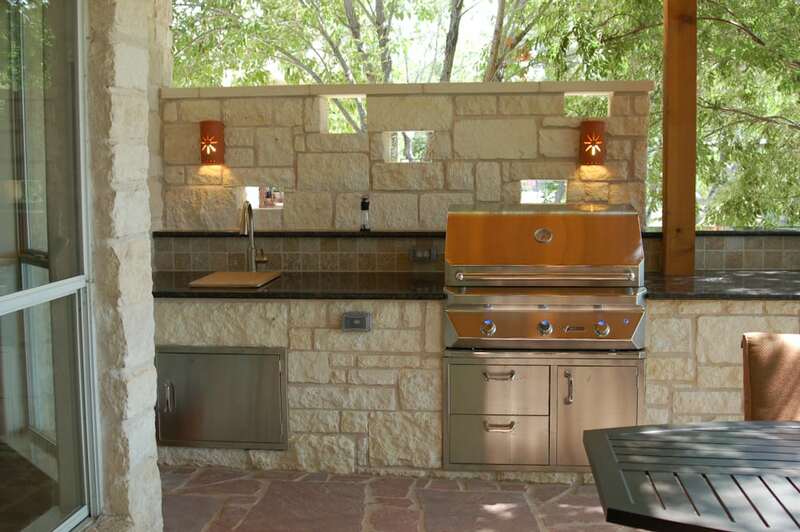 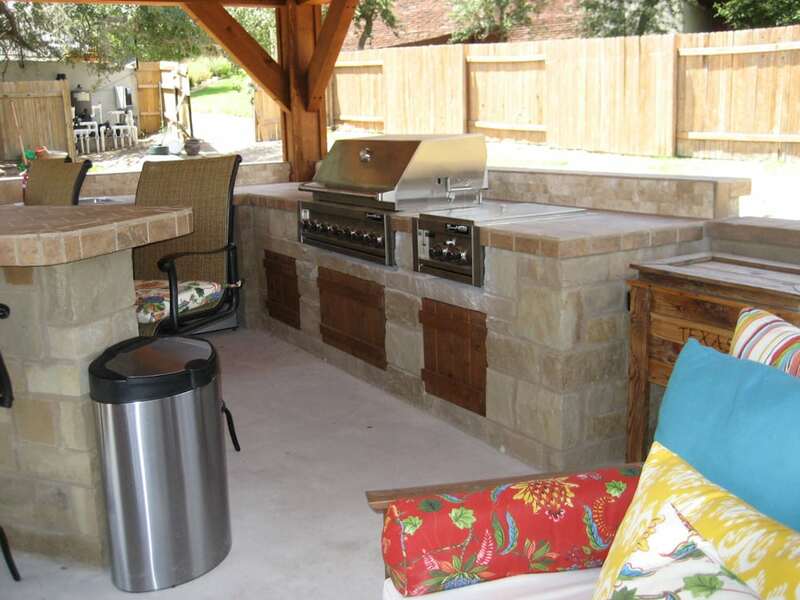 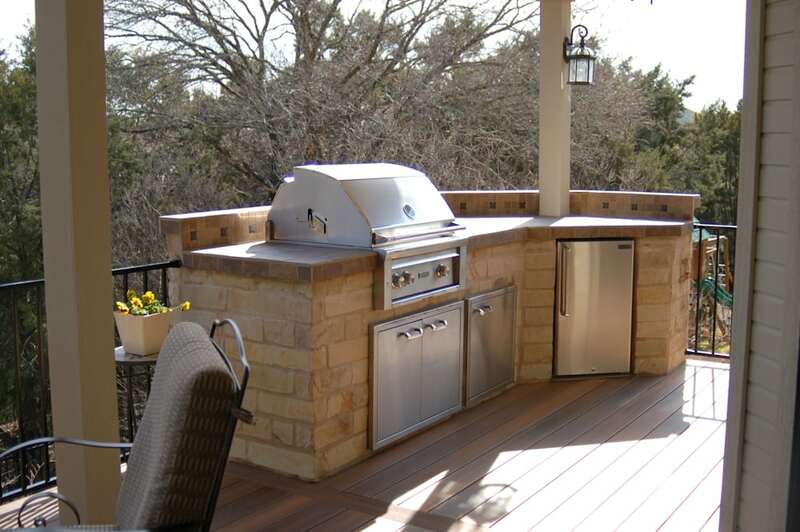 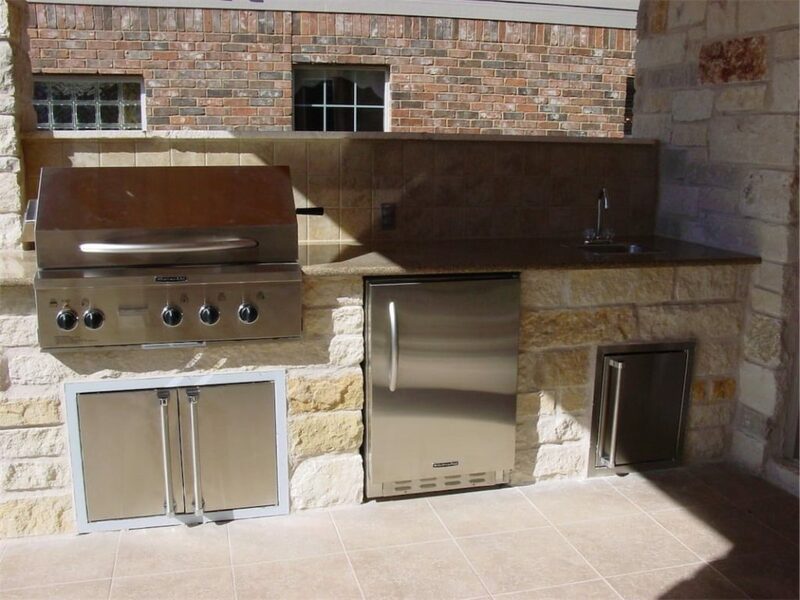 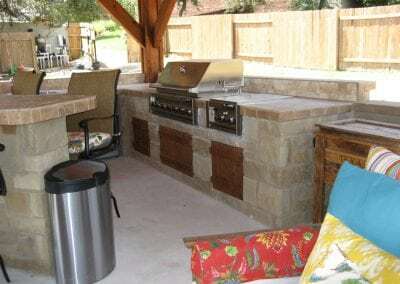 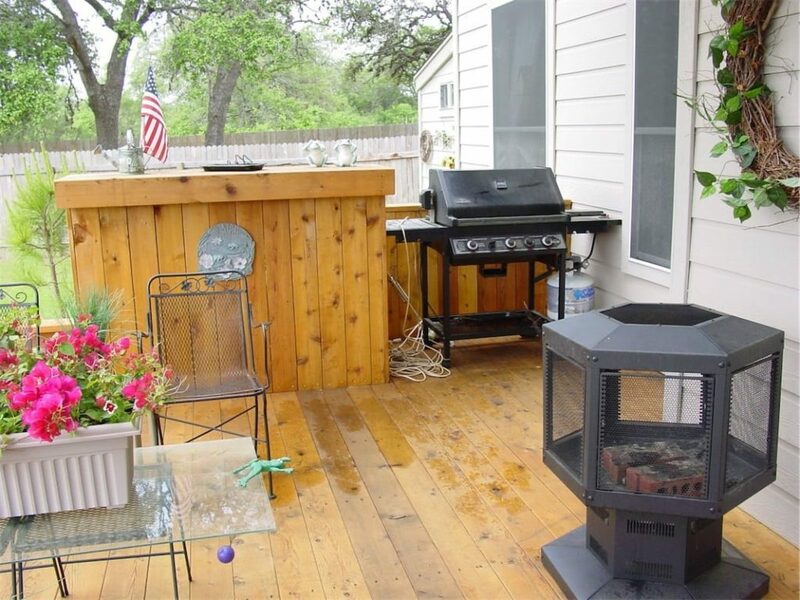 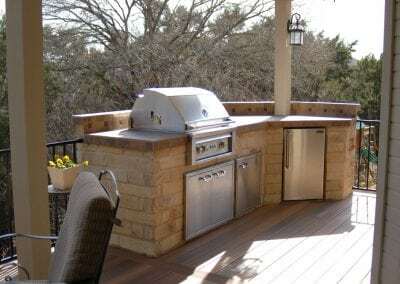 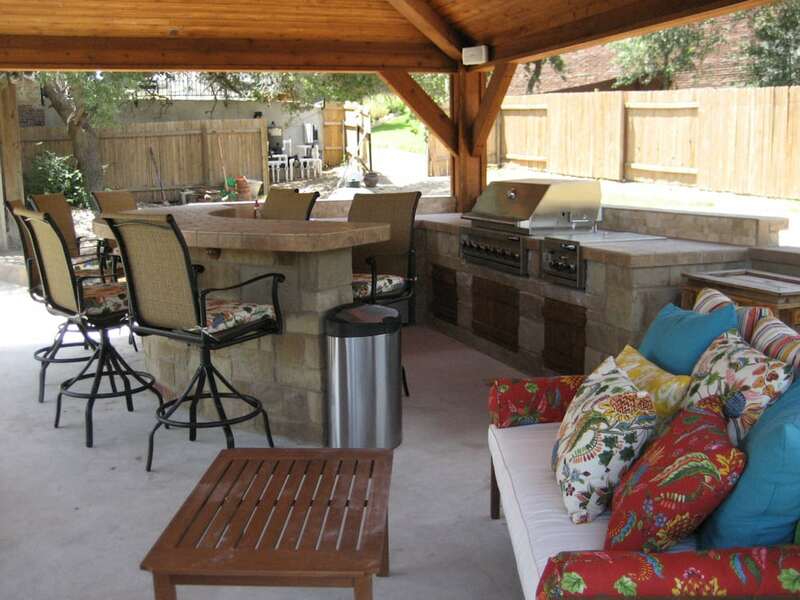 Have your own vision of how you would like your outdoor kitchen to appear. 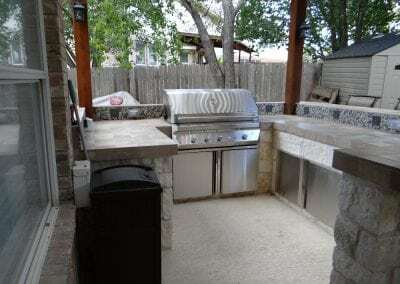 Be realistic and make sure you are working within your budget. 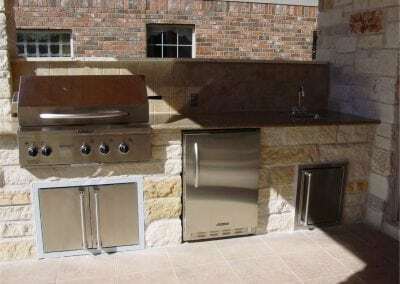 The wide range of options can make an outdoor kitchen possible even if you have a limited budget, you can select simple yet very attractive features for your kitchen. 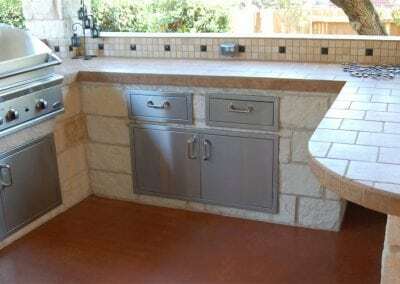 Get a professional to help you create a list of some features which you can afford and then go for quality kitchen accessories rather than quantity. 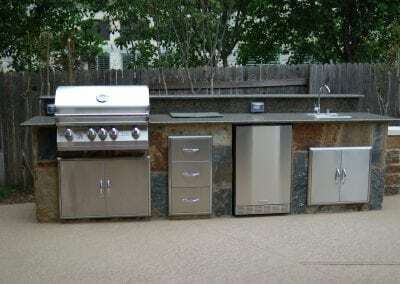 Get these basics right from the start and you will make your kitchen convenient, practical and enjoyable. 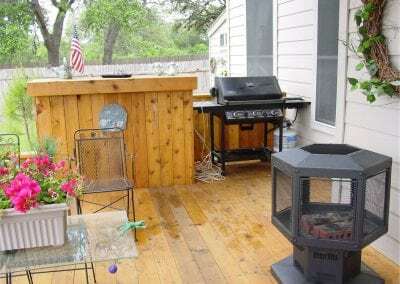 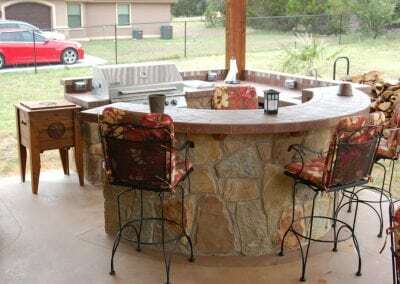 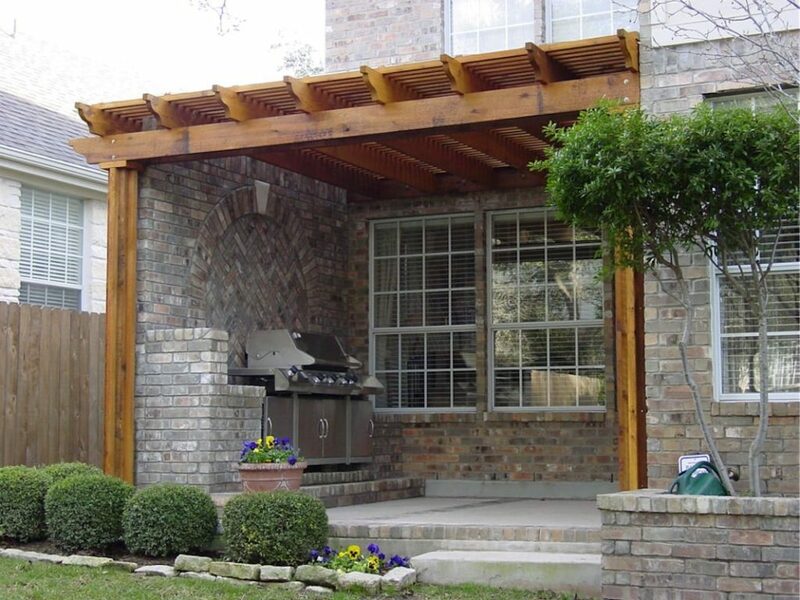 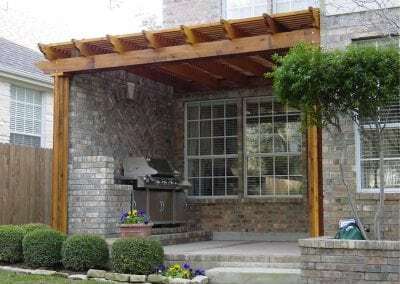 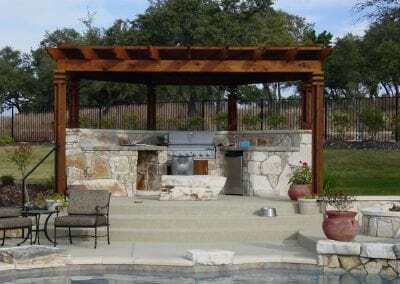 Browse our gallery to come up with ideas and then incorporate your wants and particular needs, to make an outdoor kitchen that is uniquely yours.